Jason Hughes has an unusual style of dropping color on the canvas and then drawing over it. 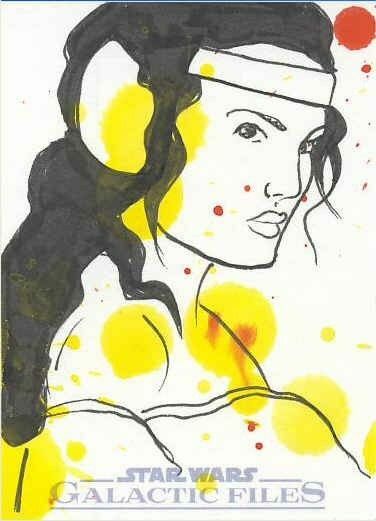 On this sketch card, he started with large drops of yellow, the primary color of the picnic dress, and a few mall drops of red before sketching Padmé over it in black ink. 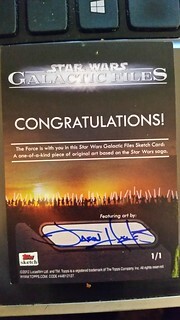 I bought this card on eBay.